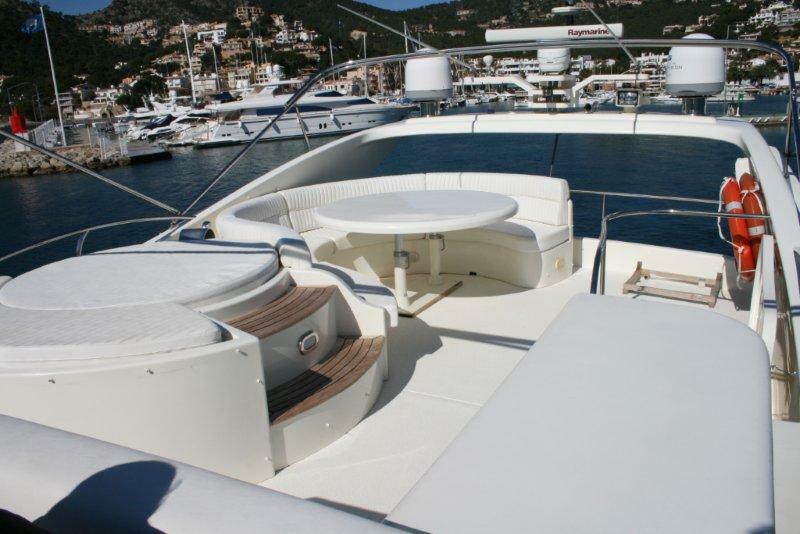 Motor yacht CRIDAMAR measures 19,9m (65ft) in length and is the design of well renowned Spanish yacht builder Astondoa. 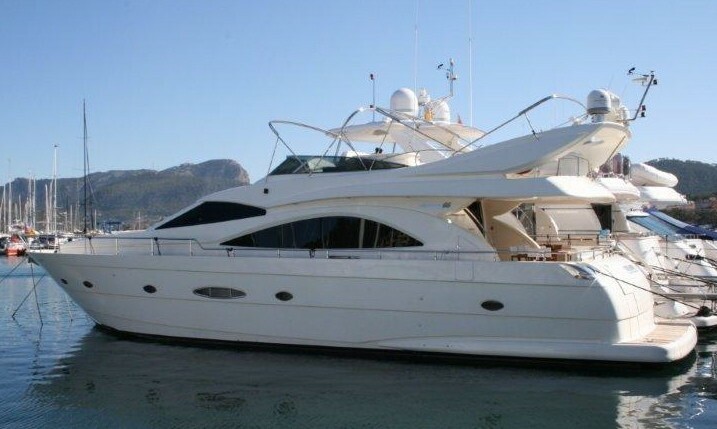 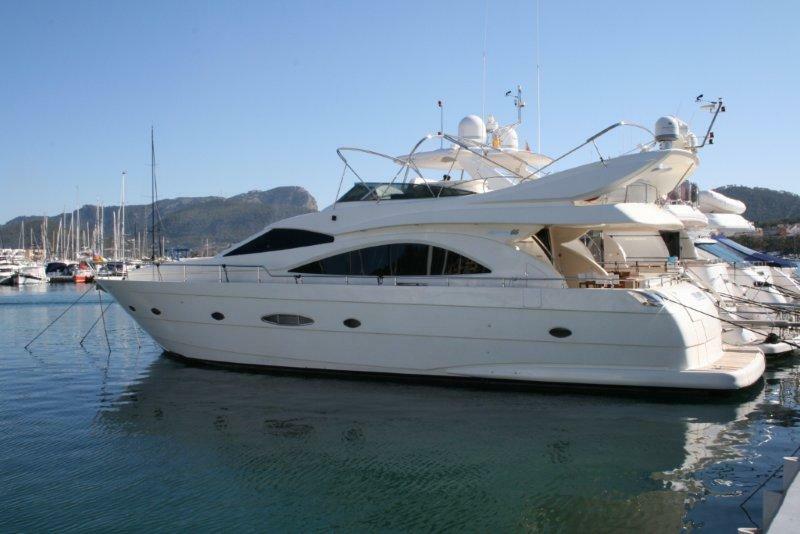 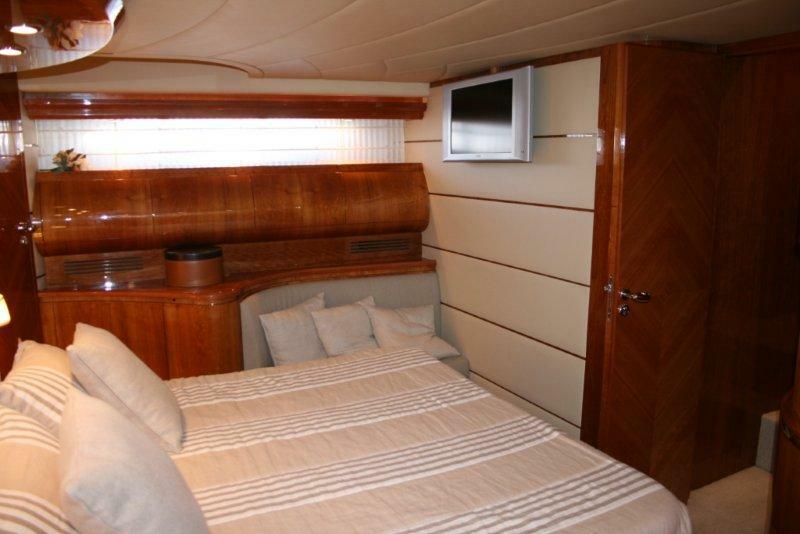 CRIDAMAR was launched in 2006 and can accommodate up to 8 charter guests in 4 en-suite cabins. 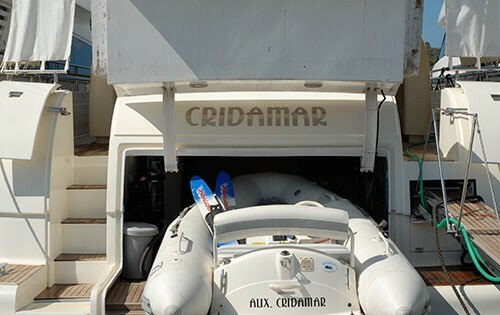 M/Y CRIDAMAR is available for charter in the West Mediterranean and is the ideal choice for families or small groups. 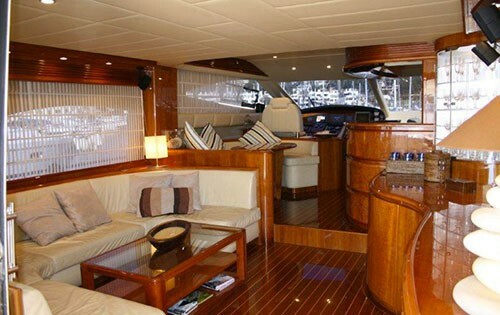 Motor yacht CRIDAMAR boasts a stylish interior with deluxe cream leather soft furnishings and fine high gloss woods throughout. 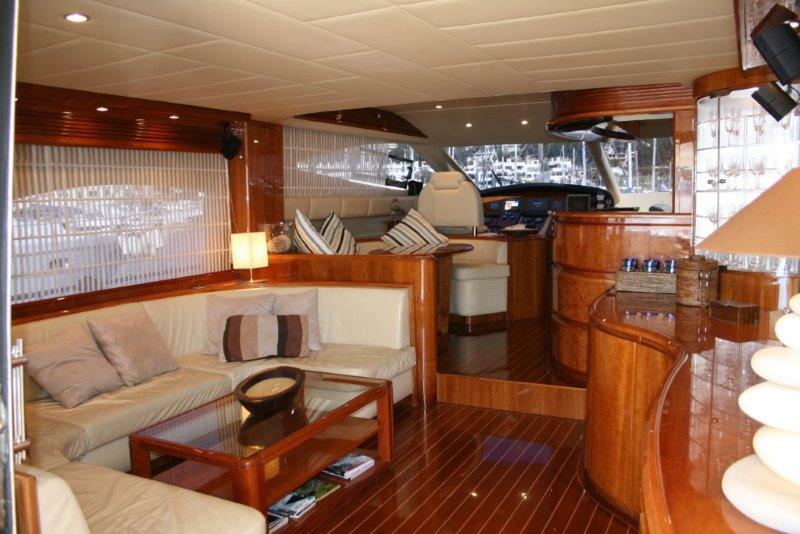 The salon and dining are an open plan with the lounge aft featuring a U shaped sofa, coffee table with inlay glass and entertainment center. 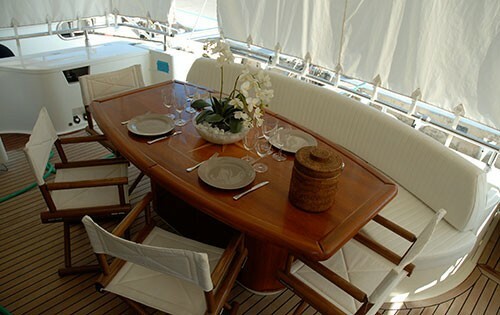 Forward and slightly raised is the formal dining area on the port side with the galley and breakfast bar to starboard. 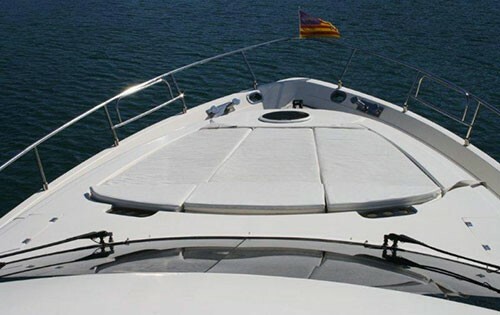 Further forward is the main helm station. 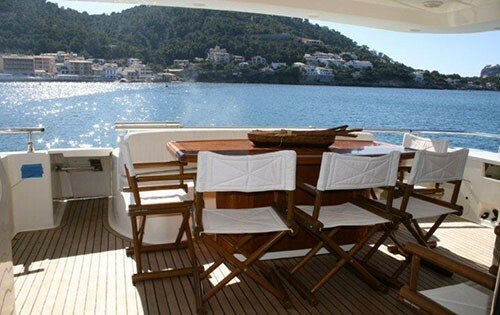 Charter yacht CRIDAMAR has ample exterior living for guests to enjoy. 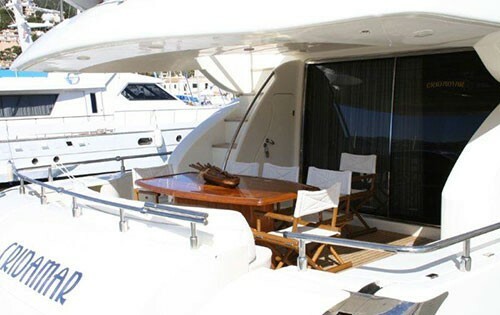 The aft deck is shaded and offers an alfresco dining table, removable sun curtains can be attached for added sun protection or evening privacy. 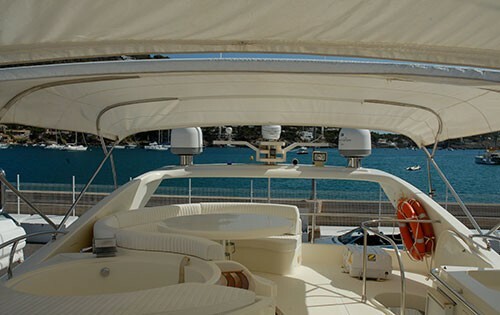 Water sports enthusiasts will find the extended swim platform perfect for easy entry into the azure blue Mediterranean seas, a built in tender / toys garage ensures uncluttered deck space. 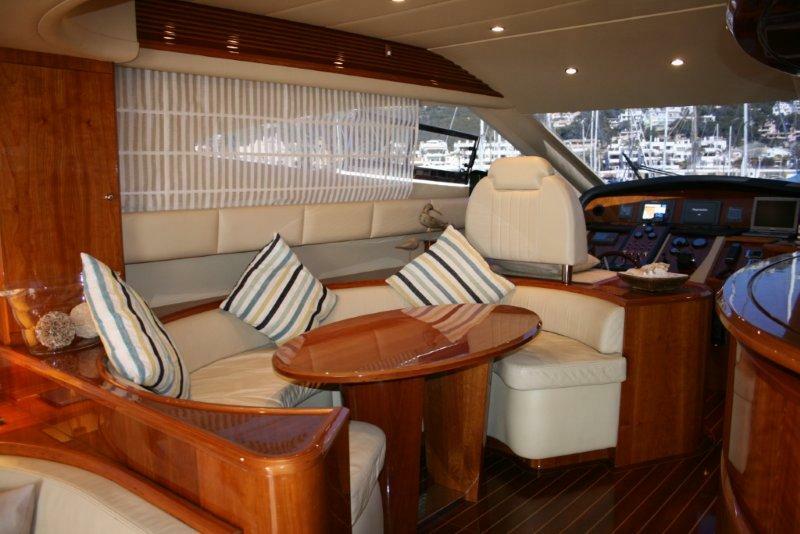 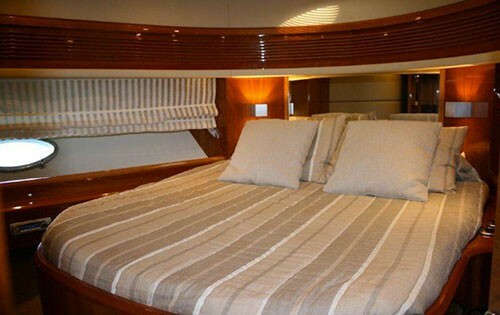 The CRIDAMAR motor yacht has a large foredeck with a triple sunpad for the sun lovers. 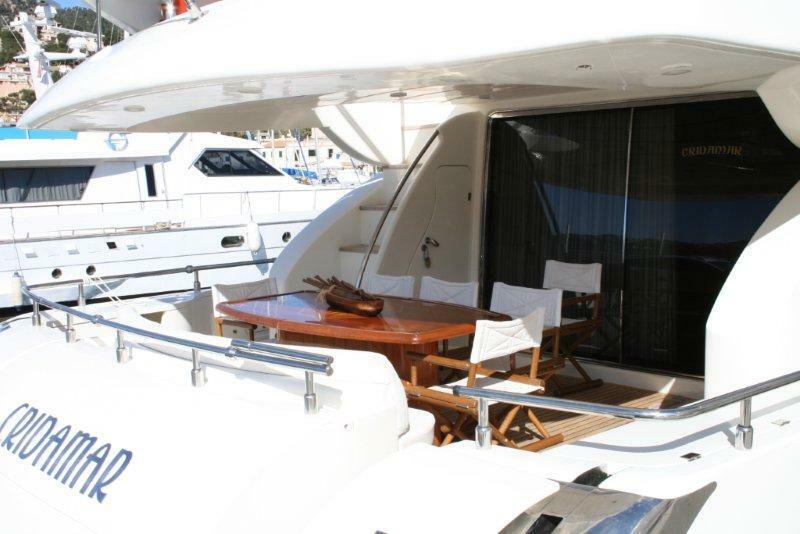 Above the main deck a well-equipped flybridge offers guests an alfresco dining option, sunpads, Spa Pool tub, drinks fridge and BBQ. 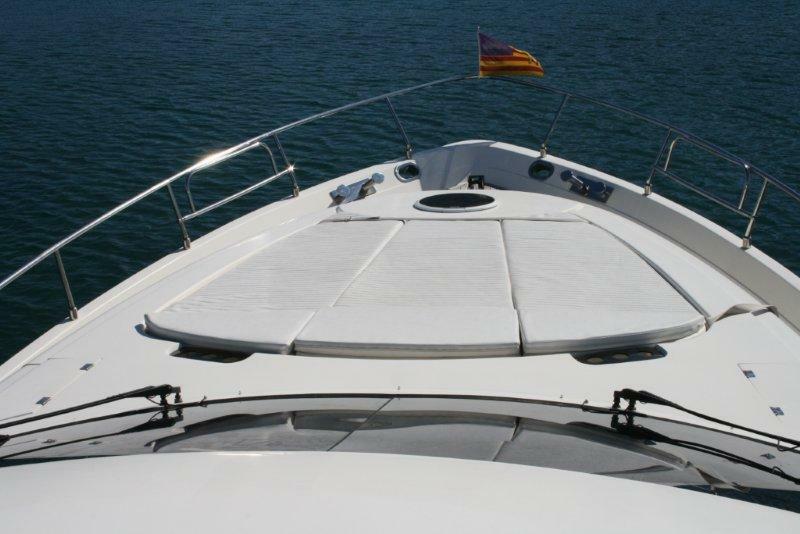 2 large Bimini covers give the option of shade on the entire deck if required. 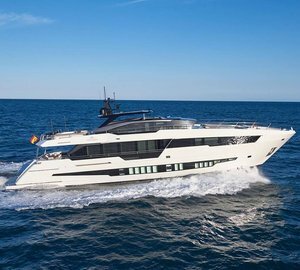 The Astondoa yacht CRIDAMAR is powered by 2 MAN 1200HP engines capable of comfortably cruising at 22 knots and boasting top speeds of 35 knots. 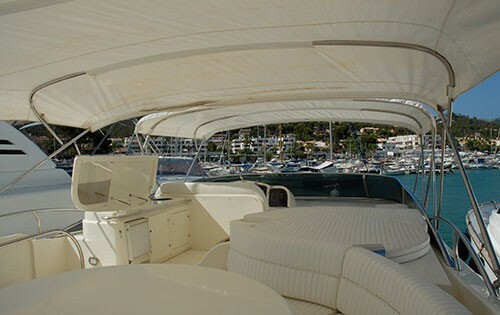 Luxury Spanish charter yacht CRIDAMAR accommodates up to 8 guests in 4 en-suite cabins. 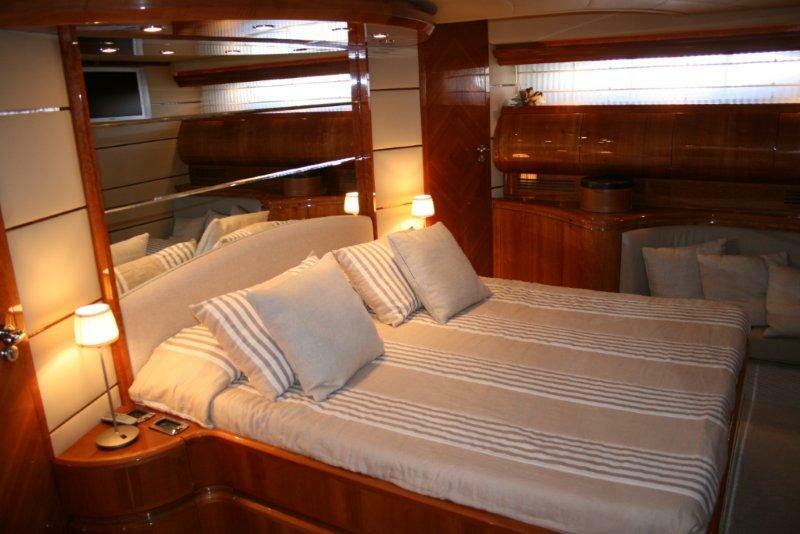 The master suite is amidships and full beam of the yacht with a king size bed. 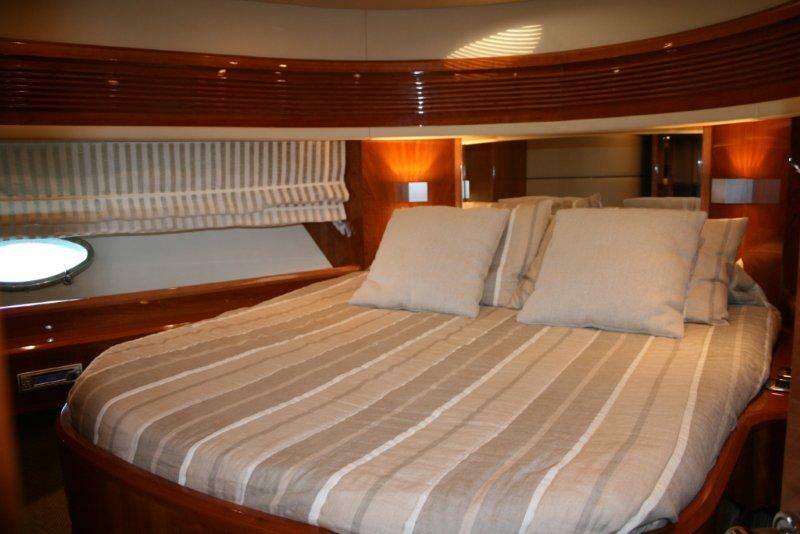 A VIP cabin is forward and full beam of the yacht with a double bed. 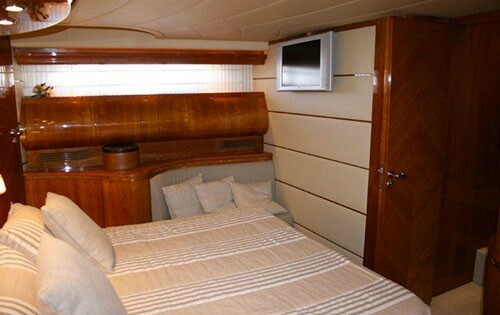 A guest’s cabin offers 2 single beds and a further guests cabin has 2 bunk bed style berths.